Registration will open THURSDAY, MAY 7th on our Event Calendar. 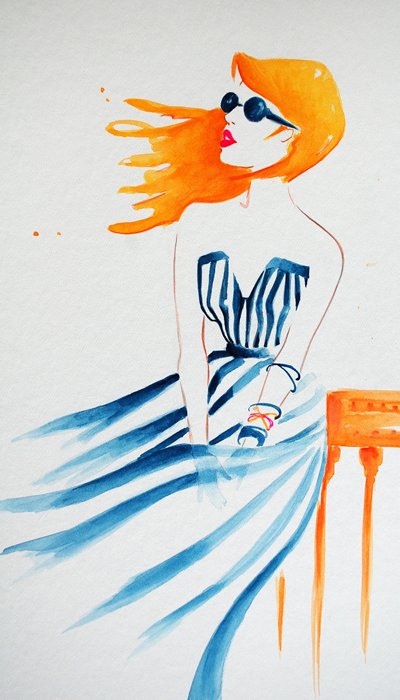 We'll be walking you step-by-step through the techniques of fashion illustration using watercolor, ink and charcoal. 3 workshops are available--take 1 or all 3. Each class begins with the foundation of creating a fluid, in-motion fashion figure. Don't worry if you're a beginner! These classes are built for those interested in getting their feet wet in illustration and fashion is our way to introduce that to you! We're taking years of class time and delivering the most succinct "how-to" information series so you'll be successful and hopefully empowered to continue further for your own pleasure. 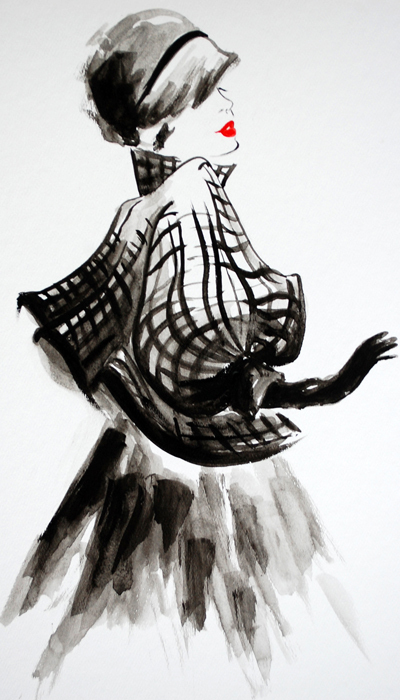 Each class will view different techniques and styles of master designers and illustrators, always starting with the basis of the fashion figure sketch. Limit of 10 per class. Registration will run through our EVENT CALENDAR. A wait list will open once the class maximum is reached. Please add your name to the wait list and you will be contacted if space becomes available. We'll start with the basics of color and line, creating the attractive curvature of the fashionably illustrated figure, pulling techniques and final artworks from a variety of famous illustrations throughout the 20th century. You'll have a chance to bring your own inspiration to the table. We'll study and recreate the color and line of Christian Dior and Rene Gruau, creators and masters of the 1950s New Look. We'll add storylines and fanciful details to study and recreate famed Helen Dryden VOGUE covers from the 1920s. Registrants of each class will receive mini-histories and final artwork preparation materials via email, getting you excited and ready for a fun and very illustrative evening.